Recorded live at the Gran Teatre del Liceu, Barcelona. Envy, conspiracy, love, jealousy, revenge and ultimately, forgiveness come together in this Verdi’s intensely passionate masterpiece. The political intrigue at the heart of the opera initially aroused the anger of contemporary censors; indeed, Verdi and his librettist were compelled to make alter the setting, moving the action away from the original Sweden to the distant US: Boston. The great Polish tenor Piotr Beczała returns to the Liceu in one of his most acclaimed roles, singing alongside soprano Ekaterina Metlova. Vincent Lemaire’s staging and Vincent Boussard’s sets reinforce the dark and mysterious atmosphere surrounding the piece, which features lavish costumes by Christian Lacroix. 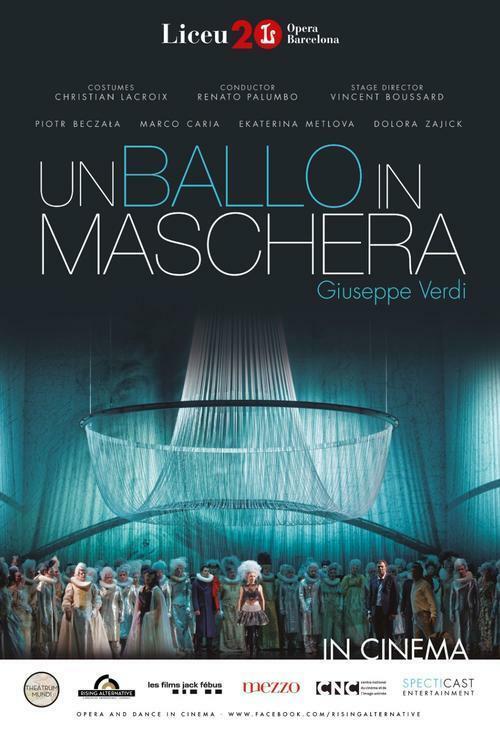 The cast, directed by the true Verdi specialist Renato Palumbo, also features two Verdi leaders: Dolora Zajick and Marco Caria.